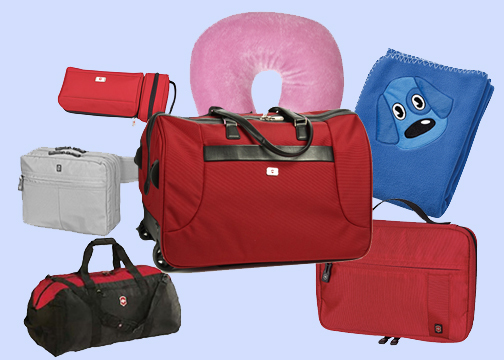 Pack for a Purpose is delighted to let you know that we have wonderful travel luggage and accessories for purchase on our eBay page! Everything came together for our launch this 2012 holiday season. The first step was to be vetted and approved under the Mission Fish Program on eBay. Mission Fish is a program on eBay available for non-profits. Our Board Member, Cindy Wittmer, did the research, submitted the information and made it happen. The next step was providing our supporters great gifts geared toward travelers for sale on our page. That is where our amazingly supportive partner, Sharon Luggage, stepped up again. Along with their vendor Victorinox, Sharon Luggage generously donated the items which you will find for sale on our eBay page. Our first intern and now Board Member, Karen Keith, used her knowledge of online sales to post the items and create an attractive online display. The end result of Karen and Cindy’s efforts is that you can choose from a wide range of quality items for children and adults in all price ranges, and we will continue to add new items in the weeks ahead. 100% of the proceeds from the sales on our page will go to support the work we are doing at Pack for a Purpose. With every purchase you make, you will receive excellent value and the knowledge that you are helping support our initiative. Please share this blog with your friends and be sure to visit our eBay website when purchasing gifts for yourself and your traveling friends.